The therapeutic effect of the application of pulsed magnetic field therapy (PMFT) has at last received world wide recognition, although for a long time many practitioners saw it only as an aid to fracture union. Research has now shown that it has the potential to improve a wide range of conditions, although few understood just how it achieved its effectiveness . Extensive research has since been carried out to determine the mechanism by which this occurs. 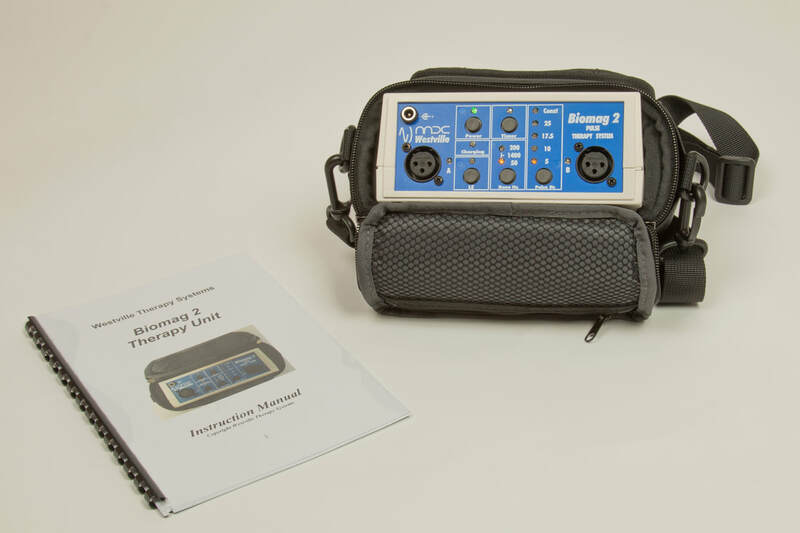 For the physiotherapist, presented with a wide range of clinical problems, PMFT is an invaluable aid to the clinically based and mobile therapist. Phototherapy, the use of light to treat a variety of conditions, is not new and has been researched for well over 100 years. It has mainly been confined to ultraviolet wavelengths for its antibacterial properties. 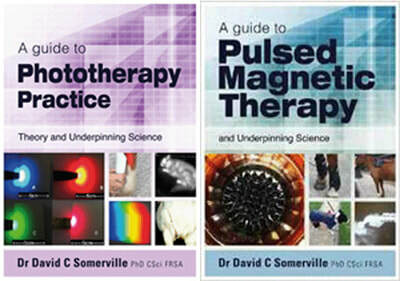 With the advent of LASER and Light Emitting Diodes, treatment in the visible spectrum and its fringes has gained credence both from research and through case history reported results. Dr David Somerville PhD CSci (Ret) MIPEM Clinical Scientist and Author of a series of books on the Science and Application of various Electrotherapy Modalities. 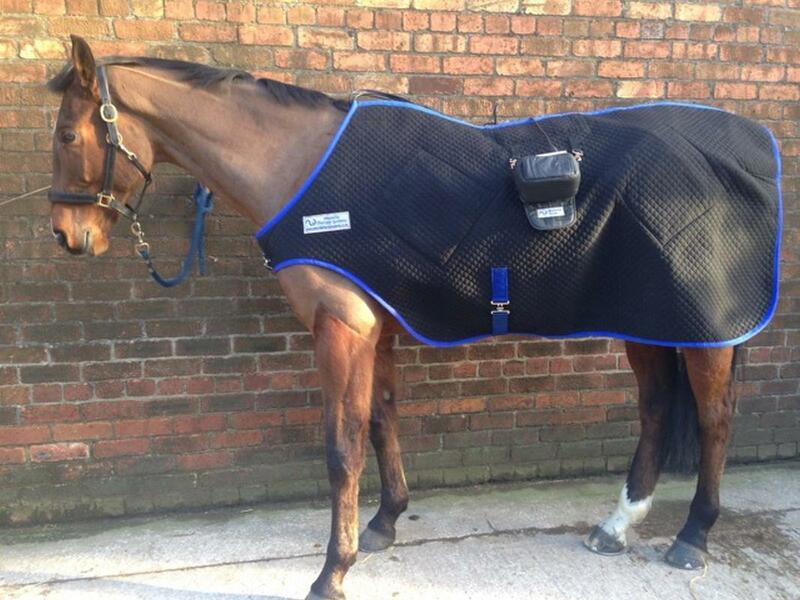 The Westville Therapy Systems PMFT Dog Mats are now ready and available to order. Both sizes can be used with either the Biomag or the FFU. 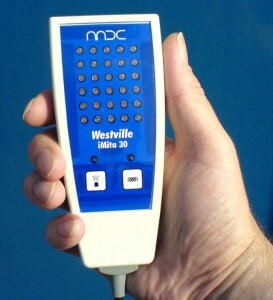 Westville Therapy Systems have launched a new externally powered multi-output unit for use in clinics. This new innovation provides four independently programmable outputs to allow different modalities to be used at the same time, so up to four stations can be serviced at any one time. Programming is via a touch screen panel that shows the status of each individual output and can be altered whilst other channels are in action. 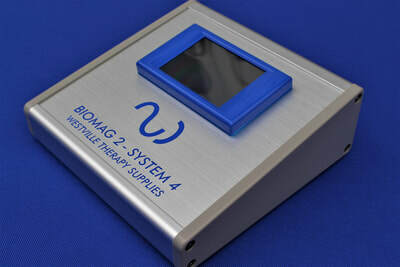 The Biomag Systems, Biomag 2, FFU and the new clinical System 4 are all capable of driving our new low voltage stimulation device. 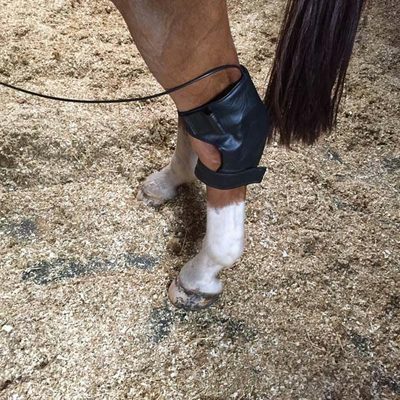 Westville Therapy have trialled this add on device that feeds two electrical coupling pads which can be placed along muscle groups. 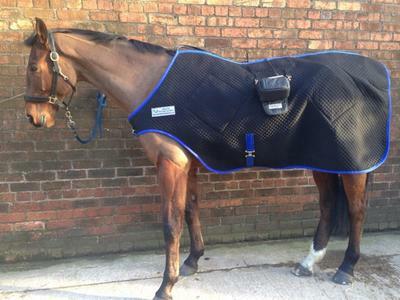 Gentle stimulation of injured muscle helps condition them without any stress being applied. Some devices on the market cost hundreds of pounds, this add-on costs considerably less.